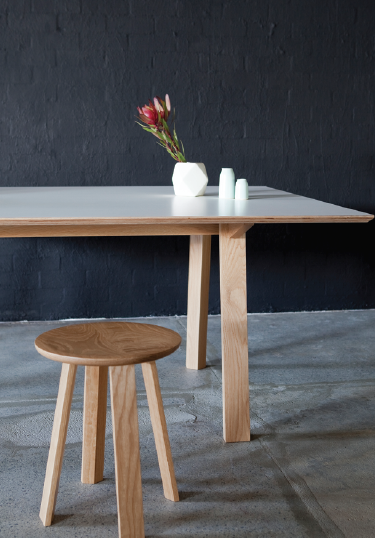 Spending three days exploring the depths of north-western Tasmania with Nathan Day, Western Australia’s first formally accredited furniture-maker, is as much an education in timber as it is a naturally eye-opening experience. Day, who is on a research trip to explore a new source of Australian speciality timbers for Dessein Furniture’s forthcoming Pieman Collection, is clearly a kid in a candy store. As we wind through the forests and lakes of the Apple Isle it is evident that 35-year-old Day is on the verge of something extraordinary. 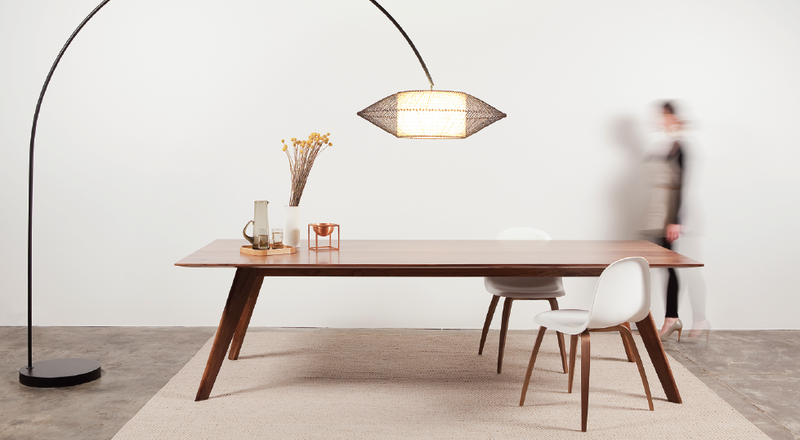 Located in the remote Margaret River town of Yallingup, Day’s workshop – on the grounds of a local vineyard – has just dispatched nearly 30 tables from his Wonton range for Zenith, destined for Apple’s head office in Sydney, with another on its way to the Australian Catholic University in Sydney and Deakin University in Melbourne. The Dunsborough native is humble about the commissions, which have been a rigorous test of skill and the efficiency of his studio’s set-up. 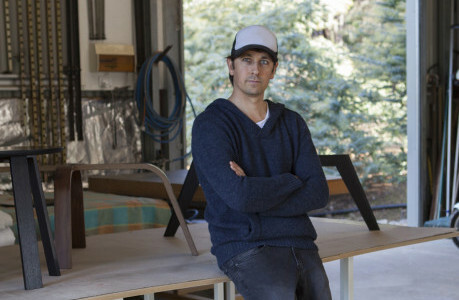 With demand growing, Day has expanded his operation to a team of three and has learned more than a few things since his first attempt at producing his own furniture. “Back then, I thought I could just make things and sell them at any price I wanted,” he says, referring to the “first year fail” he encountered some years ago. A series of lucky breaks and some goodwill have given him the ability to turn that failure into a successful and growing manufacturing business, with a social media following most starchitects couldn’t even dream of. Having received a scholarship to live and work in the UK for 12 months, Day brought home skills learned from some of the UK’s finest master-craftsmen and complemented those with time spent at Perth’s Midland Atelier with Jon Goulder. Considered and observant, Day is a listener who is open in sharing the processes and skills he has garnered through his career to date. He happily discusses mentors like Goulder and the people who have helped him develop both his skills and business with a level of respect that acknowledges he hasn’t got to this point alone.